Georg Tressler was born in 1917 in Vienna. 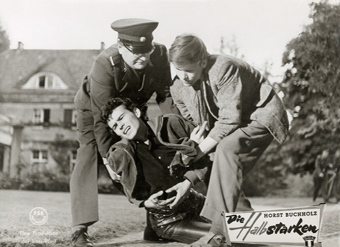 The son of actor Otto Tressler, he had early contact to the film industry and also worked as an actor in Berlin. In 1947, he directed his first short film Urlaub im Schnee. His films include: The Hooligans (Die Halbstarken, 1956), Last Stop Love (Endstation Liebe, 1957), The Merry Wives of Windsor (Die lustigen Weiber von Windsor, 1965), Der Millionenbauer (TV, 1979), and Hochzeitsreisen (1994), among others.